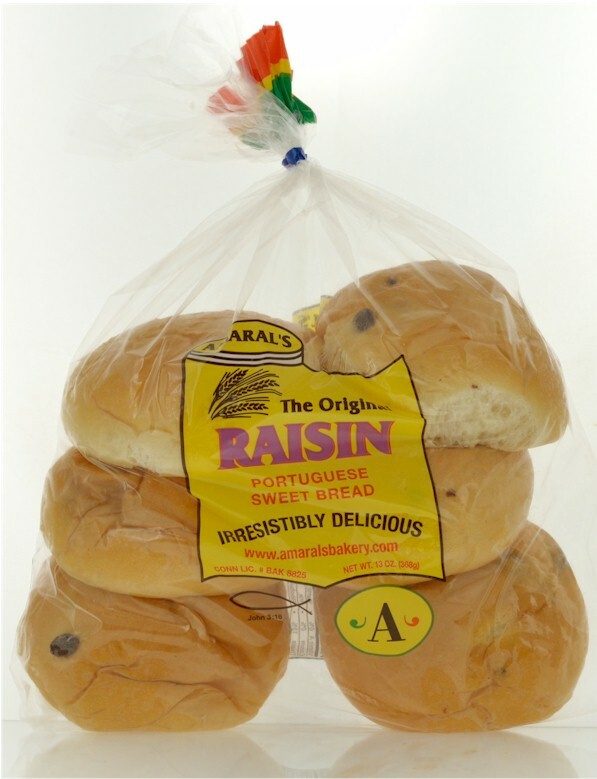 Amaral's Bakery award-winning recipes have been perfected over the past 45+ years, originating from their grandmothers recipe in 1963 on the tiny island of Sao Miguel in the Azores of Portugal! Since 1963 when it was first made, their sweetbread has been the lifeblood of their bakery and continues to be the most popular and delicious product. Try it and you will agree that it is one of the finest Sweetbreads you will ever taste. Net Weight 13 oz. This product only ships in the contiguous United States (48 states). Amaral's Portuguese Sweetbreads and Muffins are baked and shipped on Tuesday of each week to ensure freshness. Please check below to see when certain bakery items must be ordered by. *Please note that we are not responsible for delays in shipment outside of our control (i.e. snow), an incorrect shipping address, or if you are not available to accept your delivery. If your area is experiencing extreme heat or weather conditions, we recommend the Next Day shipping option. Although we instruct UPS to leave your order at your door without signature, please arrange to have someone available to receive your order from UPS at the address you specify. We are not responsible for delays in receipt should UPS at its discretion not leave your package for security reasons or any other reason at an unattended shipping address you specify.